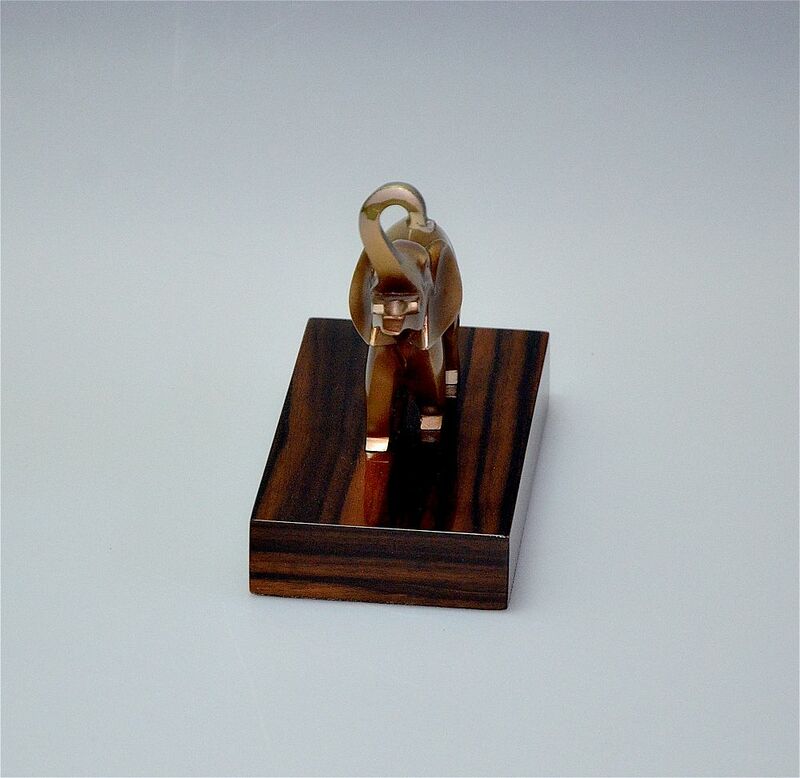 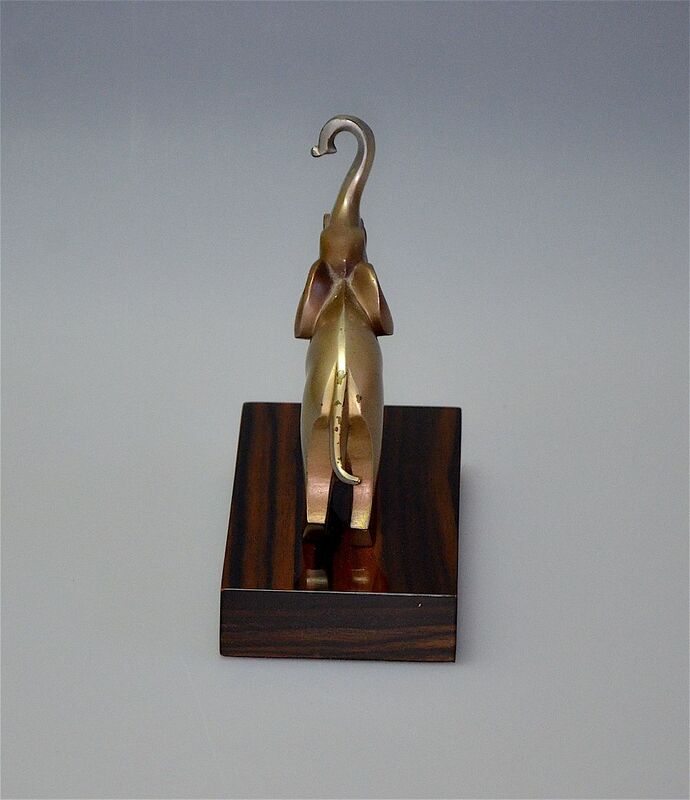 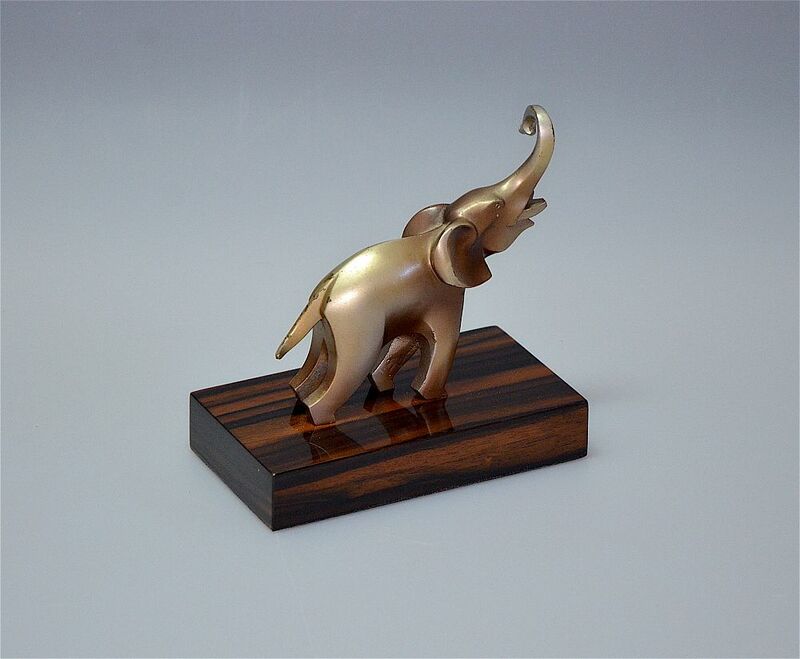 This gorgeous elephant is in cold painted bronze and stands on a macassar ebony veneered base. 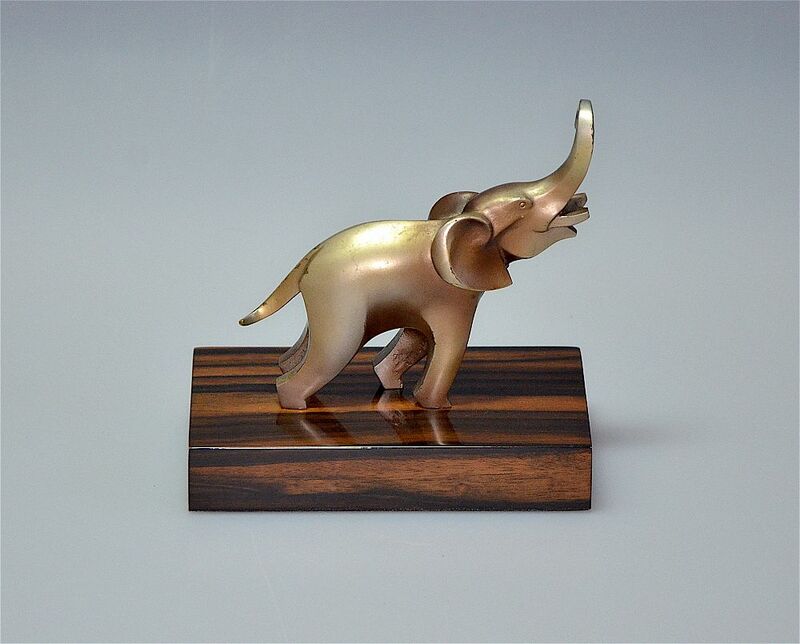 Made in the Art Deco period he has his trunk in the air and appears to be on a mission! 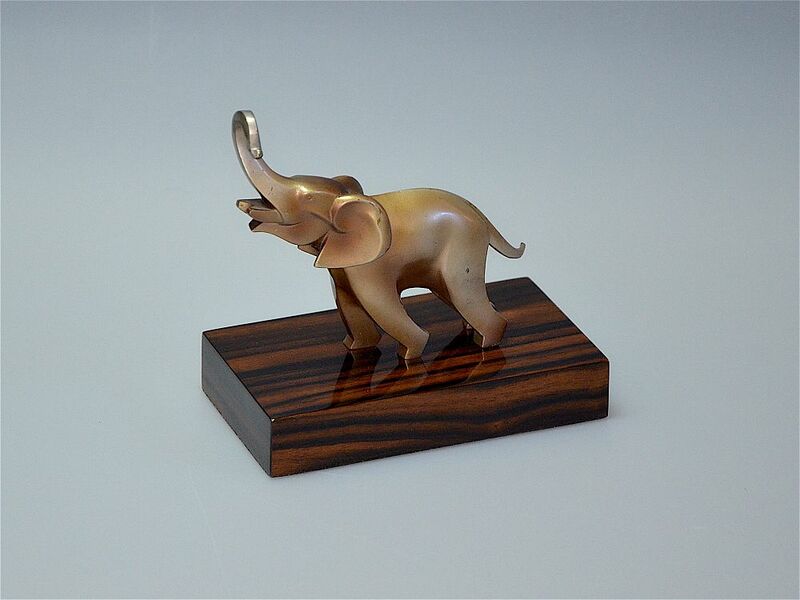 Nothing more to be said other than he is very cute!